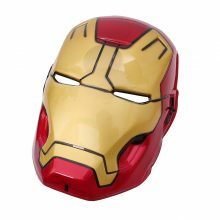 Whether you want to save the world from evil doers, or just trick or treat, the Iron Man Muscle Child Costume is the perfect pick! 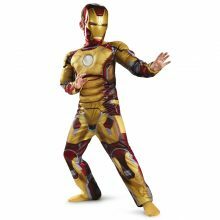 This costume features a polyester full muscle bodysuit with velcro closure complete with chest reactor and instant six-pack abs. The classic red and yellow metallic half mask completes your full transformation. 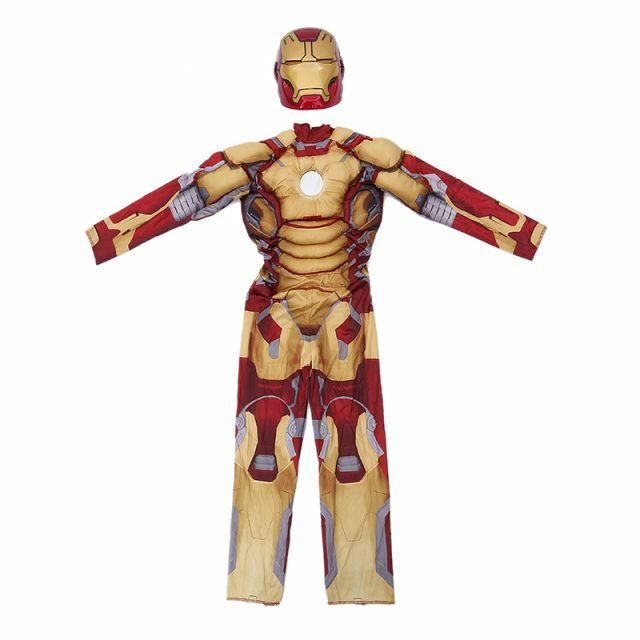 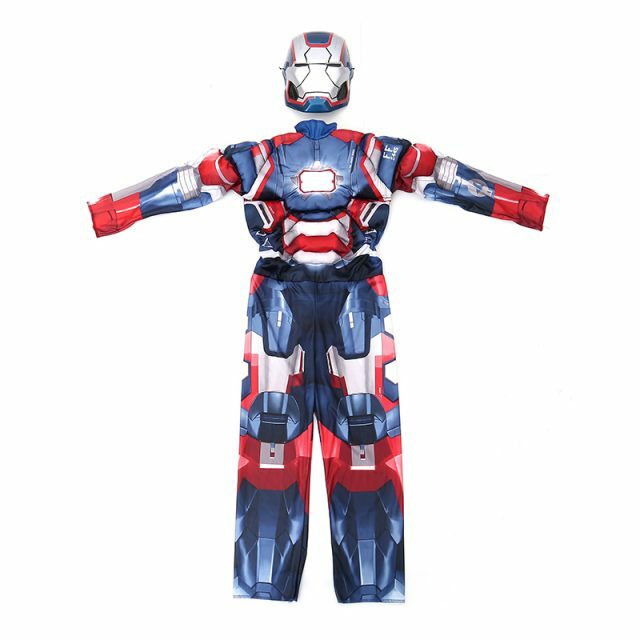 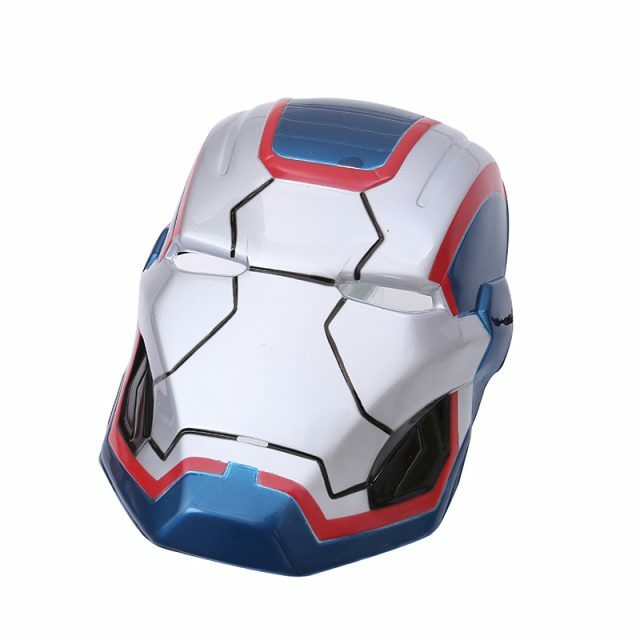 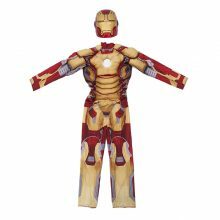 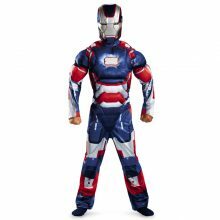 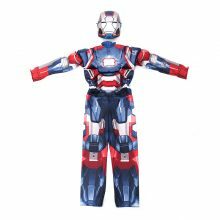 so suit up on Halloween in this Iron Man 3 Patriot Muscle child costume. The red, white and blue bodysuit features muscle torso and arms and comes complete with a matching character face mask.